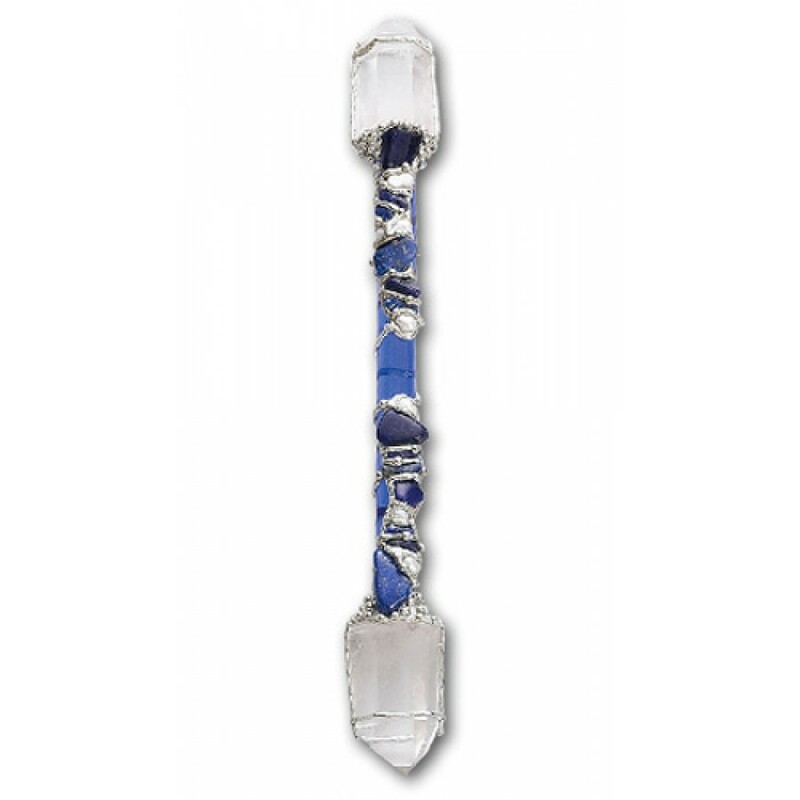 Lapis is a stone that protects from both physical and psychic attacks. It enhances awareness, promoting will power and encourages kindness and helpfulness. It helps the individual to rule over personal spiritual kingdom. Sodalite brings inner peace and stimulates endurance. Pearl brings purity and promotes faith, charity, and integrity, truth and loyalty. Hand made and shipped direct from the designer. Each wand is individually made, so no two pieces are exactly alike. These large wands are approx 11-13 inches long. All large wands come with velvet bag and information card. Item Number: LS-LA1 | Approximate Size (Inches): 0.75 wide x 0.75 deep x 13.00 high | Approximate Shipping Weight: 1.00 lbs.